Blog » Automatic Enrolment » Why 2015 is a BIG year for payroll legislation! Why 2015 is a BIG year for payroll legislation! If there’s one thing guaranteed to happen each year, it’s that there’ll be changes to payroll legislation that you need to be aware of if your business has employees! 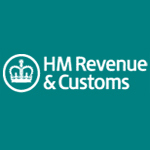 This year, not only do tax codes change in April, there are also some major updates to the way payroll is processed and reported to HMRC which you must adhere to or risk a possible fine (not to mention the headache of having to redo everything further down the line). Make payroll easier for yourself! All the above may seem daunting but it isn’t if you have the right support behind you. No-one knows payroll legislation better than Sage and with our cloud-based Sage One Payroll service, your software is automatically updated with the latest legislation at no extra cost. Important updates are typically made overnight so that the next time you login, everything is there for you. We also let you know this has been done via in-app notifications, emails and our blog and provide free 24hr telephone and email support to help with any query, no matter how big or small. Sage One Payroll costs just £5, £10 or £15 + VAT per month for the 5, 10 or 15 employee version. So, if you’re looking for low-cost, easy-to-use payroll software, sign up for a free 30 day trial now at http://uk.sageone.com/payroll/.